UK limited companies and LLPs– usually Special Purpose Vehicles. Before lending, the following security must be in place. You can borrow from £250,000 to £3million. Before the loan auction (see below), our credit analysts will agree a maximum interest rate with you. Investors will not be able to bid above this rate in the auction. Our indicative interest rates for Green Energy loans are currently between 9% and 10%. You will be borrowing directly from a number of individual and institutional investors. Our secure online platform allows them to bid for a stake in your loan. 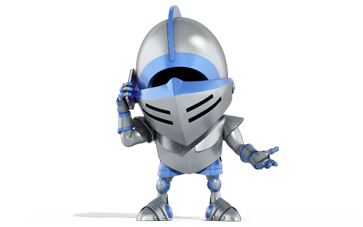 Our investors will spend a lot of time researching your and other businesses via the FundingKnight website. The people who invest in your loan will be placing their trust in you and your project – and expecting to get their money back. During a loan auction, investors who bid with the lowest interest rates will win the opportunity to fund your loan. If the loan isn’t completely filled by these bids, FundingKnight’s partner GLIF will make up the remaining amount of the funds. This means that the availability of funds is guaranteed. We arrange Green Energy loans in partnership with Central Union Partners. We also charge a monitoring fee of 1% per annum. This is based on the capital outstanding since the last payment (or since the start of the loan, if it’s the first payment). This monitoring fee is collected on each date you make a payment to lenders. Our average turnaround time, from initial application to money in your account, is 21 days. If you have all of your documents prepared and a strong application, it can be much faster. You’ll receive your money when the loan auction finishes – typically the funds will reach your account on the same day. In cases where the loan is being used, in whole or part, to finance construction works, it may be released to you in stages as work progresses. You should be aware that interest will be charged on the entire loan amount from initial drawdown. Our partners Central Union Partners will be happy to discuss the eligibility of individual applications. We will not normally lend for a term of more than 5 years. Most Green Energy loans are for 3 years but may be repaid earlier without penalty or early repayment fees. In the first year you can choose between paying only the interest or paying the interest roll-up. Subsequent years will then be part-amortised. The amount of amortisation will be agreed on a loan to loan basis. Once you’ve submitted your application, one of our credit analysts or our partners Central Union Partners will call to discuss your needs and find out more about your project. They may ask for more detailed information if they have any questions about your application. The more information you are able to give us when you apply, the more you will speed up your application and have faster access to funds. To help you prepare, here is the basic information we’ll need. We're ready to accept our loan offer - what next? Once you’ve signed the loan offer, and we have received satisfactory reports from our lawyers and valuers, your loan is approved and ready to go to live auction. If your loan isn’t completely filled by these bids, we’ll make up the remaining amount of the funds. In other words, you will always get your money. During the auction you’ll be able to sign into your FundingKnight account and watch as investors live bid on your loan. The investors who bid with the lowest interest rates will win. Auctions typically last seven days, but they can be shorter if you choose. As soon as the auction ends, you will receive your funds via a bank transfer. You will begin to make repayments one month from draw-down. For the majority of Green Energy loans you will only pay interest for the first 12 months, which in some cases may be rolled up and included in the agreed loan amount. For the remainder of the loan term you will pay interest plus an agreed proportion of the capital. You can make an early repayment of any part of the loan on any normal repayment date, provided you give us at least 15 days’ notice and the repayment amount is the minimum repayment amount as agreed. The minimum repayment amount is £25,000 capital, plus any outstanding interest on the capital amount repaid. Under certain circumstances we can agree a payment holiday before you start repaying your loan, allowing you to wait a few months before starting to pay your loan back. This can be particularly helpful if the loan is for a project that won’t be revenue generating in its early stages. Interest will start to accrue from the day the loan is drawn down, so you should be aware that a payment holiday will increase the overall cost of your loan. If a payment is late, we charge a fee of £5.05 per day. This fee is deducted when the overdue payment is received. At our sole discretion, we may waive this fee if the payment is received up to four days late, for example if the reason for delay is a bank error or similar and you have kept us informed of what’s happening. Once the loan has been drawn down, our partners Central Union Partners will monitor progress. If you have problems in meeting your obligations to us, we will work with you and Central Union to resolve any issues. Should this prove to be impossible we may have to take steps to protect our position, which may involve the appointment of an Administrator or other action to enforce our security. Do you offer any business support? Our partners Central Union Partners are happy to discuss your loan requirement informally and help you to prepare the loan application. Once the loan has been funded, Central Union will monitor progress and, in particular, approve any stage payments that form part of the loan terms. We feel that it is important that we keep closely in touch and work together to ensure a successful outcome of your project. What if we need another loan? Borrowers who return to FundingKnight for another loan often benefit from a lower risk rating, and therefore better interest rates. The application process is also much faster because we already have a lot of your information on file.